Start of a new month today where is the time going? I cannot believe we are in February already it’s crazy! 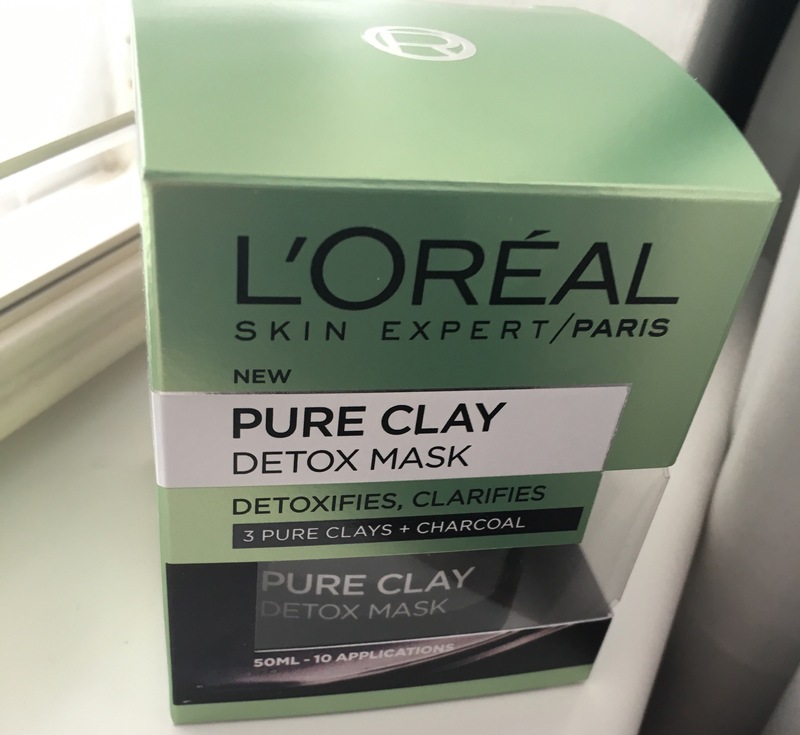 Anyway, today I’m writing about the L’Oréal Pure Clay Detox Mask. I bought this near the end of December in Superdrug when it was on offer. Pure-Clay Mask is a line of three hybrid cleansers and treatments offering different benefits in each mask. One mask detoxifies, another mask mattifies and the other mask exfoliates and refines the skins textures. Each of these products come in a 50ml glass container with a plastic green coloured lid on top. The packaging is very simple which I love. The glass containers give it a very luxurious feel to it. For me the packaging is always key as it attracts people to buy the product. I always love simple and elegant packaging which is why I feel L’Oréal chose this type of packaging for the product as it really is simple and elegant. On the back of each box there is a small brief description of how to use it the product. Each mask is made with three mineral Clays (Koalin, Montmorillonite and Ghassoul) and also some other ingredients of course. Each of the three clay masks offer different and unique benefits to your skin. All three mineral clays absorb impurities and oils. So if you have oily skin (just like me) well then this product will for sure help you out but don’t forget each mask is suitable for all skin types. Some products can work wonders but smell awful in this situation it’s not the case as the product not only works amazingly but also smells amazing too. The charcoal mask has a very fresh scent which I’m sure is the same for all 3. The texture of the product is also great it’s really creamy and has a good consistency. Ghassoul A pure clay highly concentrated in minerals renowned to help clarify complexion. Instant and lasting with visible results. Immediately the skin is purer and clearer. After just one week the skin feels fresher and more luminous. 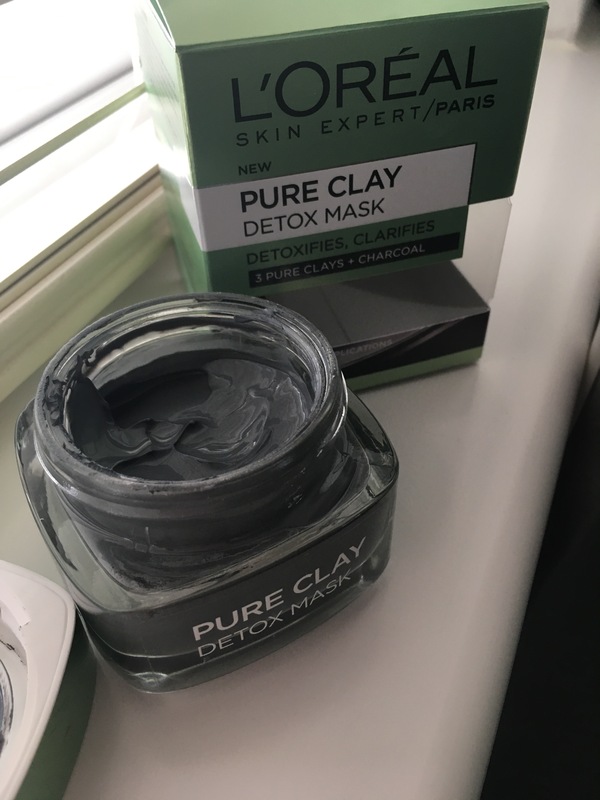 I’m going to give you a brief description of each mask that is available to purchase I have only tried and tested out the detox and brighting charcoal mask so the descriptions of the other two is just from what I’ve heard about the product. The Purify & Mattify Mask (Light Green Mask): This mask has the three pure clays in it along with Eucalyptus. This mask is supposed to draw out any dirt in the skin , unblock pores and reduce excess shine on the skin. The Exfoliate & Refining Mask (Red Mask):This mask is made to exfoliate any dead skin cells, smooth any imperfections, and tighten pores. This is the mask I want to try out next from this collection. 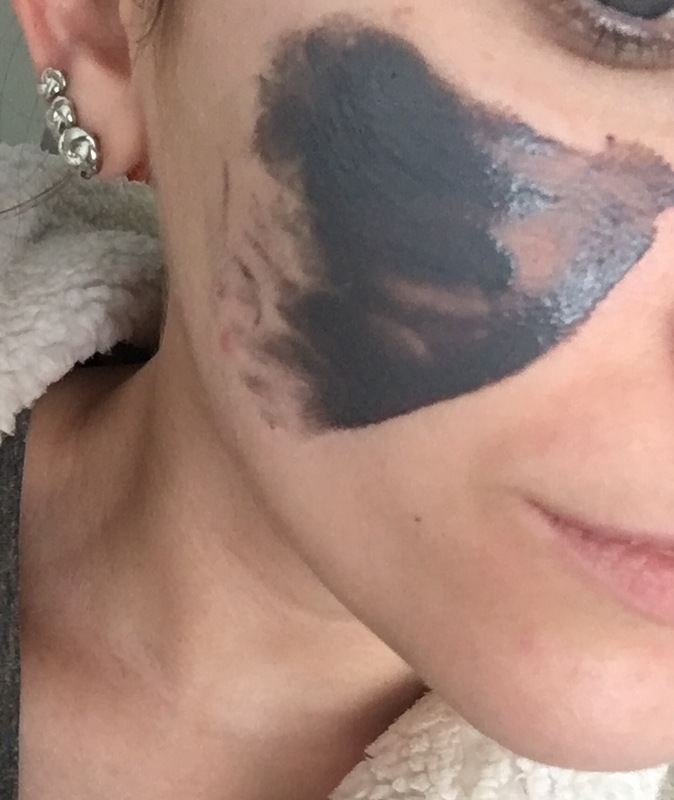 The Detox & Brighting Mask (Charcoal Mask):Charcoal masks are one of my favorite types of masks because it reduces dull skin and increases luminosity and that is a reason why I choose to buy this mask first to try out. If you get any of these masks I would definitely recommend getting this one. It has left my skin feeling and looking fresh. I had no reaction at all to this product which is sometimes what I find hard when choosing a product as I have very sensitive skin but this product had no affect on me at all and my skin has not been looking this good in such a long time. I definitely believe it’s because of using this mask. So far I’ve used this mask twice a week and it really has worked wonders for my skin. The charcoal acts like a magnet to draw out any impurities. The creamy texture detoxifies the skin’s surface by cleansing deep into the pores, leaving the skin looking clarified and beautified without drying out the skin. To use this product apply an even layer of the mask to a clean face and leave in for 10-15 minutes for best results use this 3 times a week(I only use it twice a week and so far so good.) to remove mask wipe off gently with a damp cloth. I love everything about these masks. From the packaging to the product itself it’s fab including the overall results. I would definitely recommend having the charcoal mask at home in my opinion it’s one for every beauty lovers collection. I really want to try these masks! Great review. Ur L’Oreal is too famous n popular in INDEA. hey Ciara!love your reviews. Have nominated you for The Mystery Blogger Award.Check out my post for info. I think I need the detox mask, my skin is so dull and dry! Clay treatment for skin and hair is very old and useful. In ancient civilization, people were using specific clay to wash hair and skin when soap was not discovered. Thank you very much. I was thinking about prchasing this mask after I use all of the masks I have now.